So you can probably tell from my last recipe (matcha pumpkin pie) that fall is in full swing in my kitchen! One thing that I've always wanted to make is apple cider. I love apple cider but often times, store bought brands are WAY too sweet for my taste and don't taste much like apple. I started to do some research to see the process of how to make my own. I was pleasantly surprised to find out that making apple cider is very simple and it requires apples, water and spices. I looked at a bunch of recipes and decided to change up the traditional spices a little bit. I added in ginger and green tea! The Kukicha twig tea is known to be calming and nutty so I thought it would be the perfect addition to the cider! You may use whatever apples you want for the cider but I used McIntosh because they are my fav! Not only is this recipe very simple to make but while the apples and spices are boiling, a wonderful aroma fills your entire home! I strained my apple cider through a mesh strainer but there were bits of apple that came through. Personally, I liked it this way so I left it. I would suggest doing several round of straining if you want minimal apple left. You could also put the apple that gets caught in the strainer in some cheese cloth and squeeze out any juice to make sure you are getting the most of your apple cider! Don't put the tea in until you're almost done with the cooling process like mentioned in the recipe. 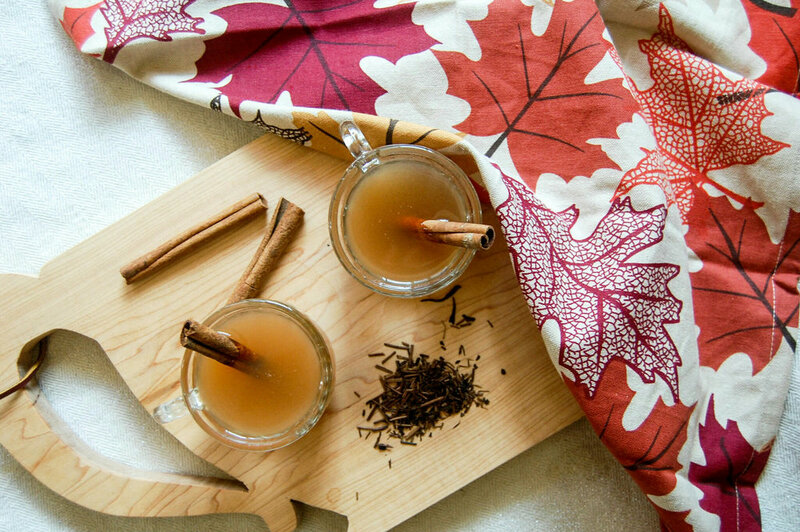 You don't want to tea to over brew and give the apple cider a bitter taste. Honey or sugar is optional here and based on your own personal taste. I put one tablespoon of honey for the entire pot and thought it was sweet enough, I didn't want to cover the taste of apples! 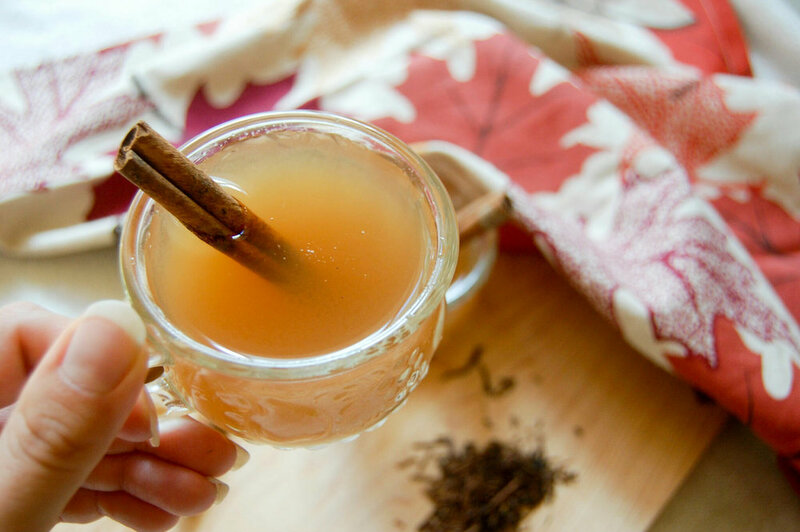 This cider is such a wonderful treat plain or if you're having a party it can easily be spiked! I really liked the effect of the ginger on the cider as well as the green tea. I wouldn't suggest not putting cloves or cinnamon because it's such a staple in the apple cider taste but I do encourage you to add some spices to experiement ! What apples would you choose for your cider?